If quick fundraising ideas are what your organization is in need of, then a Guessing Jar is an excellent solution. 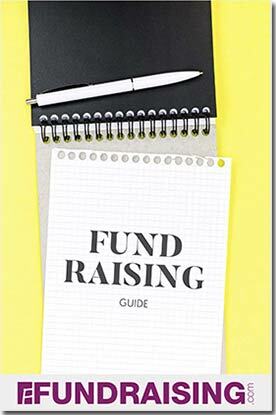 This fundraiser takes all of about thirty minutes to organize and is very simple. Since teenagers typically have some disposable income, guessing jars make excellent high school fundraising ideas. Equipment and volunteers are minimal because after the jars are placed there is nothing to do until it’s time to pick a winner. For each jar that you have you will need to have a prize or set of prizes for the winner or runner ups. Individuals can take a shot at guessing the amount of items in the jar however many times they choose, but each try costs them. Simple, but effective. Fundraising games like this can raise significant funds for your group. This would do really well as a campus fundraiser too, since a school campus typically has a lot of foot traffic, so it would garner a lot of attention. Guessing jars make easy fundraising ideas for small groups too, since the process requires so few volunteers to organize. The best ways to raise money for charity are those that reach their goals with the least resistance. There are no set rules for this type of fundraiser; you can use your imagination. Some groups will decorate the jars, but be careful to not obstruct the view. Participants need to be able to pick up the jar, turn it around and use their best judgment to guess how many items are packed in the jar. You can also use clear tubes, boxes or other containers as long as people can see through them. Guess how many sweets in the jar…or? 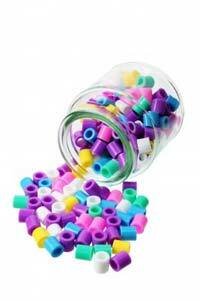 For the inside of the jar you can use marbles, paper clips, candy, beads, or any thing that will fit into the container. Using different sized or unusual items makes it more interesting and more difficult to duplicate. Pennies or anything else of significant value is probably not a good idea, otherwise your jar may grow legs and walk away. Place a small piece of cardboard, well hidden in the jar containing the number of items in the jar. That way when you open it up you will be able to confirm the original amount of items in the jar. It helps with the legitimacy of the fundraiser. This really depends on what type of prize that you have for the winner of the guessing fundraiser. If you have a trip to Cancun, then it would stand to reason to charge more than if the prize was a dinner for two. Regardless of whether or not the prize has been donated, participants will pay more per guess for larger ticket items, helping you raise funds. With this type of fundraiser it is imperative that it be conducted in a well traveled place. If it is sitting in the corner somewhere the chances of people taking a guess are slim. Advertising your fundraising event, having volunteers spread the word and placing flyers will help you earn top dollar. You will also need to have a box to hold participants guesses as well as tickets. The tickets can be small pieces of paper that participants can write their name, address, phone number as well as guess on and place in the box. Remember to have any rules or policies clearly stated and in plain view for your participants to read when they are signing up for your guessing contest.